History is littered with those who made great discoveries, performed great deeds or just changed the World, but whose names do not crop up in the ordinary course of education and learning. Why might this be? Did they break with convention? Did they offend the establishment? Did they not fit the paradigm? Possibly all of those things. In this lens, I shall kick off with seven people (crept up to twelve now!) whom I consider to have been extremely great but who have mysteriously escaped becoming household names. I shall just give a taster or overview of their careers or their claims to fame and put some links at the bottom of the lens, for further reading. Of course, my 'magnificent seven' are not comprehensive (now twelve, as I've already added five). There are, I'm sure, many more candidates that could spring to mind, deeply worthy of a mention, and I would enjoy seeing your suggestions in my 'Suggestions and Nominations' module at the base of this lens. Please contribute. I have now added a 'comment' module after each featured 'hero', to allow you to make individual comments if you wish. Thomas Cochrane was the 10th Earl of Dundonald. He had an extremely distinguished naval career, full of extraordinary exploits and derring-do. In my opinion, his name should vie with those of the Elizabethan Sir Francis Drake and great Lord Horatio Nelson, his near-contemporary. He was a swashbuckling figure of the Napoleonic Wars and was so notorious and feared among the French that they dubbed him 'Le Loup des Mers' (Wolf of the Seas). His exploits were more amazing than fiction. It was the naval actions and exploits of Thomas Cochrane that inspired such novelists as C. S. Forester (Horatio Hornblower) and Patrick O'Brian (Jack Aubrey) and, thereby, Peter Weir (the film maker of 'Master and Commander' fame). Followers will recognise the escapades from Cochrane's real life, that made those works of fiction so colourful. He contended that he could have rid the Iberian Peninsula of Napoleon's army with just a few frigates and his coastal warfare skills, without the might of Wellington's army that was later deployed for the job. Who knows whether he was right but his incredible exploits and successes, with just two frigates off the coast of Spain, certainly lent credence to the idea. He was a contemporary of Admiral Horatio Nelson (who died at Trafalgar in 1805) but did not serve in that famous naval battle. That sort of 'slogging match' was not his forte. He was a master of mobility and sleight. In 1806, he had what was perhaps one of his most glorious actions and one of his starkest clashes with a superior officer, during the The Battle of the Basque Roads. In that action his outrageous ingenuity and unrivalled audacity were displayed to the full, to devastating effect on the hapless French fleet. 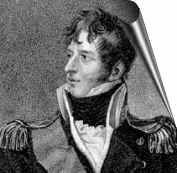 Taking place in 1809, another of his daring exploits is recounted at: The Cordouan Light, showing the effect both of his audacious actions and his poor relationship with the naval hierarchy. He was a champion of the serving seaman and of moral rectitude, campaigning against the corruption in the British Navy, that was rife at the time. He was also an innovator/inventor of some note, winning a prize for a new-style 'convoy lamp' in 1805 (the year of Trafalgar) and a 'tunnelling shield' in 1818, along with Marc Isambard Brunel (father of Isambard Kingdom Brunel). This was used in the building of the Thames Tunnel (1825-43). After distinguishing himself nobly in the Napoleonic Wars, falling foul of the establishment and being falsely imprisoned, he went on to become successively Admiral of the Chilean Navy, The Brazilian navy and the Greek Navy, helping each country in its fight for independence. 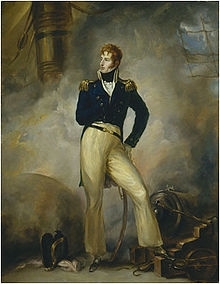 In 1832, he returned to grace in England, under William IV, and was given high rank in the Royal Navy. Why did he not achieve great historic recognition? It was probably because of his fight against the corrupt but all-powerful naval establishment, his inability to suffer superior fools gladly and the fact that Nelson's achievements were so great and significant for the British people that Cochrane was overshadowed. He died at the somewhat surprising age of 85, considering his lifestyle, and was buried in Westminster Abbey. If you like naval adventures and the tales of the Napoleonic Wars, this hero's for you. I have put some links at the bottom of this lens. She sells seashells . . .
Mary Anning is famous in her hometown of Lyme Regis, Dorset, UK. There is a church window dedicated to her memory in St Michael's Church in that town. There is an area of the Natural History Museum in London, UK devoted to her work. She was a world-renowned geologist and palaeontologist in her lifetime, being visited by prominent geologists and palaeontologists from around the world, who were keen to meet her and to benefit from her skills, knowledge and insights. Among many other important finds, she discovered the first Ichthyosaur skeleton, the first two Plesiosaur skeletons and the first skeleton of Dimorphodon (the first Pterosaur found outside Germany). She showed great skill in the discovery, collection, preservation and documentation of important fossils and her knowledge of biology and classification of organisms was legendary. Nonetheless, she was unable to present her finds in person to the scientific community and her work was rarely credited to her. Despite her remarkable finds and her depth of knowledge and the fact that she achieved it with no formal education, her name is little known outside the limited circles of Lyme Regis and palaeontology. Why is her name not known along with the likes of Charles Darwin, Richard Owen, William Buckland and Gideon Mantell? Why is she not mentioned alongside the famous feuding palaeontologists of the USA (Othniel Marsh and Edward Cope)? Her background was a poor artisan family, who were religious dissenters. She was uneducated. She was a woman in an age of strong gender prejudice, working in a man's world of inflated scientific egos. These factors were sufficient to consign her to near-obscurity, despite her amazing prowess and achievements. A few links providing a fuller account of the life of this pioneer extraordinaire can be found later in this lens. Mary Anning was the true 'First lady of Fossils', although Barbara Hastings, Marchioness of Hastings and Baroness Grey de Ruthyn, a wealthy woman who lived from 1810 - 1858, often receives credit for being a great lady fossil collector. So she was, but in a different manner. That notable lady often visited the cliffs around Lymington in Hampshire, directing her workers to excavate fossils and she also purchased some of her prodigious collection from British and Foreign collectors (probably also from Mary Anning). She was, apparently, very skilled at 'preparing' the specimens, which is no mean feat and is certainly worthy of note. Mary Anning, on the other hand, was poor, worked hard with her own hands to collect fossils and may have been a superior palaeontologist, despite lacking wealth, social advantage and formal education. Mary Anning has been listed by the Royal Society as the third most influential female scientist in British history. This is a remarkable accolade and belated recognition of a truly remarkable woman. Her recorded achievements are even more notable in that she was prevented from properly participating in the dealings of her contemporary scientific community by gender, class and poverty. Many books have been written about Anning but the new historical novel by Tracy Chevalier 'Remarkable Creatures' has made waves. There is also 'Curiosity' by Canadian novelist Joan Thomas. Who's he? Only the father of geology and stratigraphy, yet who knows of his name, life or work? Stensen, also known as Nicolas Steno, was born in Copenhagen, Denmark. He travelled widely, particularly in Holland, France, Italy and Germany. Apart from some anatomical advances and some important observations on crystals, Stensen was responsible for the the recognition of geological strata and the theory that successive layers of geological formations (strata) contained a fossil record of life in chronological order. This overthrew the notions that fossils fell from the skies or 'grew' in the rock and paved the way for Darwin's theories. Stensen/Steno became a tutor to a child of the de Medici family in Florence, Italy. He entered religious life, while in Florence. 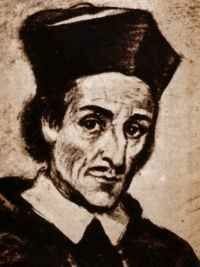 He was a zealous Roman Catholic and became part of the Counter-Reformation and reached the 'rank' of Bishop. Despite what must have been tensions between his religious beliefs and his scientific integrity, Stensen's work has taken its place in history. However, he is largely unknown. Is this because of the general tensions between 'science' and 'religion' in those times? 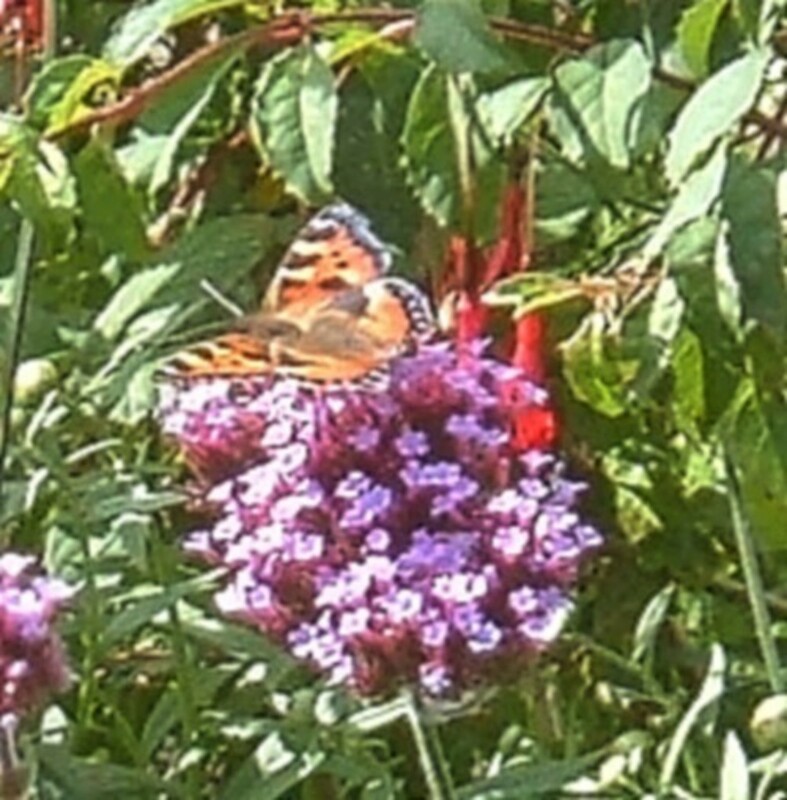 Links to provide deeper insight into this great life are provided lower in this lens. Celebrated by Tracy Chevalier in 'Remarkable Creatures' and commemorated by the Philpot Museum in Lyme Regis,Dorset, UK, Elizabeth Philpot is still remarkably obscure. 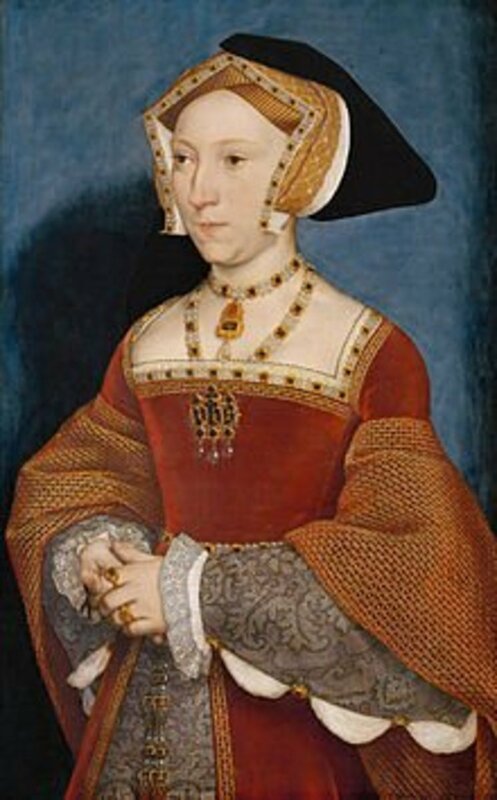 She was one of three sisters who left London in order to preserve their financial security, after the marriage of their brother, who took over the London family residence. They made their home in Lyme Regis. 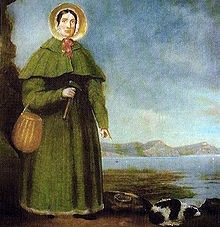 She was a great fossil collector and companion and supporter of Mary Anning (see above). 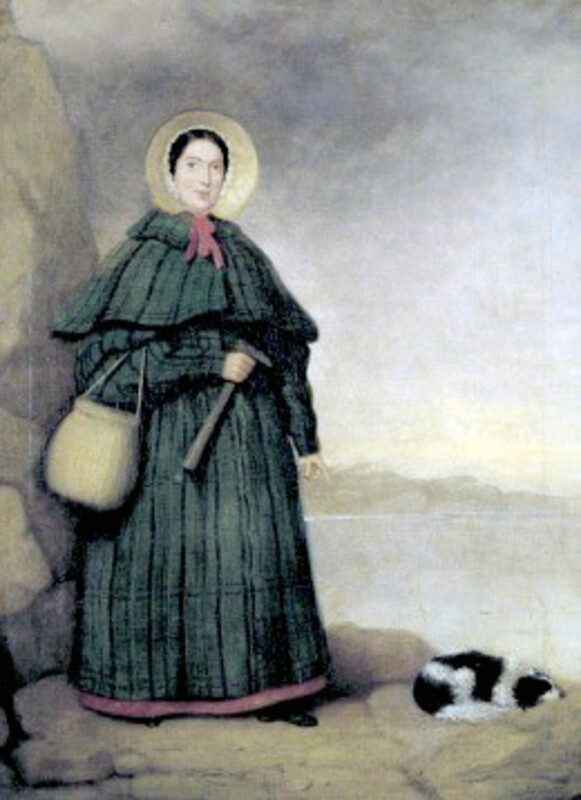 As Tracey Chevalier portrays her, she was an invaluable support for Mary Anning, certainly contributing to that remarkable lady's achievement. 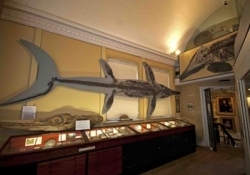 The museum dedicated to her memory is built on the site of Mary Anning's home and fossil shop. In June 2010, an article appeared in The Daily Telegraph: 'Barbara Hastings: the first lady of fossils' by Karolyn Shindler. Here was an admittedly remarkable lady for her time but she was an aristocrat and was and not born until 1810. How could she have the honour of being the 'first lady of fossils', when Mary Anning and Elizabeth Philpot went before? Everyone (well almost) knows the names of the Montgolfier Brothers, the Wright Brothers, Francis Whittle, Amy Johnson, Louis BlÃ©riot, Reginald Mitchell and other pioneers of flight and flying machines. 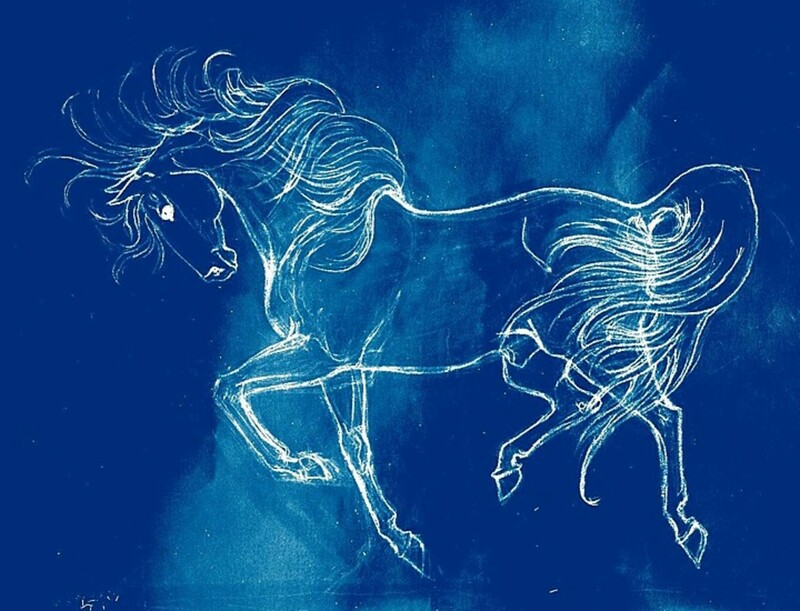 Even Leonardo da Vinci has been celebrated for his flying designs. Who knows about that unsung bobbin maker from Chard, Somerset, UK, who achieved the first powered flight at the amazingly early date of 1848? Stringfellow's machine was powered by a specially designed light steam engine, an amazing feat in itself. It's flight was in a disused warehouse and was very brief. Nonetheless, it happened and should be better acknowledged. There is a museum in honour of Stringfellow and his machine at Chard. Hero of the Second World War, Bert Evans has told his story for the 70th Anniversary of his heroic action enabling the Dunkirk Evacuation. He was part of the rearguard, holding the German Army back from the Dunkirk beaches, while that desperate and historic evacuation unfolded. He was in a group of prisoners, rounded up after the action, who were herded into a barn and infamously massacred [IMAGE LINK - http://coalhousefort-gallery.com/Wormhoudt-Massacre-Site.]. These men were from the 2nd Battalion The Royal Warwickshire Regiment with remnants of The Cheshire Regiment and The Royal Artillery. It is not easy to see why the heroism of these men was so poorly publicised but it is not a glorious part of military history on account of the breach of Geneva conventions by the German officer involved. Somehow, with his right arm shattered by a grenade explosion, he was helped to escape by Captain Lynn-Williams, who died in the process of their desperate flight. Bert was recaptured but this time given the respect due to prisoners of war. The remains of his right arm were amputated and he spent the rest of his war a prisoner of the German Reich. He defended the Dunkirk beaches, he survived a massacre and terrible injuries and he told his story in a matter of fact way, belittling the heroism of those desperate days. Read his fuller story in the links provided later in this lens. Peter Willemoes distinguished himself as an officer in the Royal Danish Navy, at the age of seventeen at the Battle of Copenhagen. His bravery, tenacity and leadership skills were clearly sufficiently conspicuous to have been noticed by Admiral Nelson, who commended him to the Danish Crown Prince for promotion to the rank of Admiral, after the battle. He commanded a 20-gun floating battery during the battle and gave an extremely good account of himself, inflicting great damage on the attacking British fleet. He met his death fighting aboard the Danish Navy's last great battleship, the 'Prins Christian Frederik', at the Battle of Zealand Point. 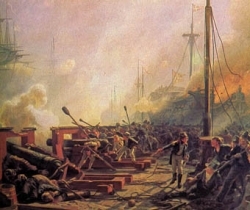 The Battle of Copenhagen was formative in Nelson's career and ascent to 'stardom'. It was an extremely tough battle, which Nelson was quite lucky to win, partly as a result of the gallant and heroic battling spirit of this dashing young officer. This was the battle at which Nelson famously put his telescope to his blind eye, in order to avoid obeying a signal to withdraw. It was ten of April morn by the chime. O'er the deadly space between. "Ye are brothers! ye are men! As death withdrew his shades from the day. Now joy, old England, raise! Soft sigh the winds of heaven o'er their grave! Richard Spencer joined the Navy at barely 14 years old. His first command was HMS Crafty. When he left the sloop HMS Samarang on 18 August 1810 he carried with him a letter from her ship's company which had been penned by one of his boatswain's mates. It testified to their esteem for his "Fatherly Conduct and Universal attention to everything Conducive to their health and Comfort during the time they had the honour of being under his command." Being at a loss how to go about it they also sought his advice on how to present him with a sword valued at 100 guineas for which the whole ship had subscribed. In 1812, he was given HMS Blanche. In 1815, he became Commander of the Bath. He retired to Lyme Regis, Dorset, UK. There, he was a Customs Commander and was distressed by the loss of life at sea. He experimented successfully, in the Cobb harbour, with the buoyancy of a ship’s lifeboat, using copper buoyancy tanks coated in deal, with cork around the gunnels. The men who helped him with the tests jumped out when the boat capsized but were surprised when it righted again. 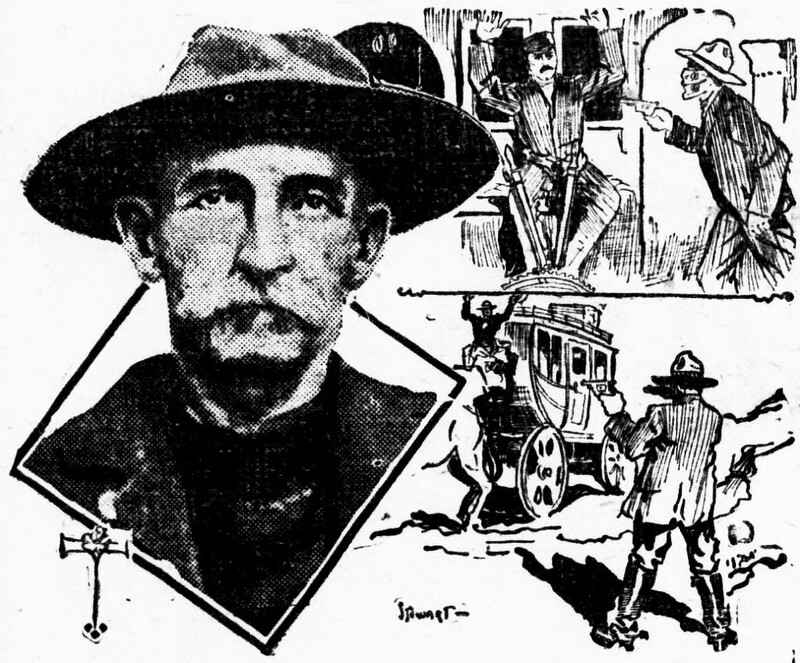 He had invented the self-righting lifeboat. He married Ann Liddon, of Charmouth. He lived in Lyme regis for 16 years, before his appointment to be the first Government Resident of the settlement of Albany, in Western Australia, in 1832/3 (according to which source). He was knighted in 1833. In Albany, he purchased what is now Old Farm, Strawberry Hill, Albany, the first farm in Western Australia and now preserved by the National Trust of Australia. He pioneered methods of farming suited to Western Australia. 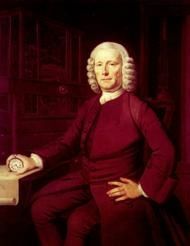 John Harrison was a Lincolnshire countryman (born in Yorkshire), who was a carpenter and self-taught clockmaker/watchmaker. He earns his place in history as the man who solved the 'longitude problem'. He earns his place in this lens, on account of the poor representation of his achievements in history books and because of the skulduggery that bedevilled his efforts to have his work accepted by the establishment. Until his ground-breaking work, there was a massive toll in ships and men, around the world, because of navigational errors. Navigators could define their latitude position but not their longitude position, frequently with fatal consequences. When the fleet of Admiral Sir Cloudesley Shovell ran aground on the Scilly, with great loss of life, in 1707, the British Parliament put up a large prize for the person or persons who could solve the navigational problem of longitude. Many fanciful and impractical ideas came forward but not until the finely-crafted timepieces of Harrison were finally accepted, was the matter resolved. Harrison designed and built three large timepieces but, in 1749, he bravely relinquished his earlier work and began work on a 'watch', that finally made the breakthrough. The challenge had been to create a machine that would withstand the vagaries of climate, temperature and ship's movement, yet still keep accurate time and that was the measure of Harrison's achievement. Because of the machinations of vested interest, Harrison was not finally awarded the Board of Longitude prize until he was 80 years old, after the king's personal intervention and then it was not an official award of the prize itself, which was never actually awarded. He was dealt with extremely shabbily by the establishment and Parliament. Harrison's remarkable timepieces can be seen in the museums at Greenwich, England, a museum complex that is well worth the visit but don't expect to come away inside two days! This is the home of the zero meridian, from which all world time is measured. 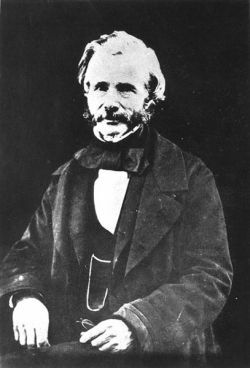 It could be argued that Harrison has now been sufficiently recognised, with recent books and television coverage but his contributions to exploration, mapping, and maritime safety were truly gargantuan and there are many in the modern world who are not even aware of the problem that he solved so majestically. Jack Cornwell was a very young seaman in the First World War. He died at the tender aga of 16 and was awarded a posthumous Victoria Cross for his actions. He saw his first and last action in the Battle of Jutland (31st May 1916), under Admiral Beatty. In this massive but relatively indecisive clash between the British and German battlefleets, the British lost more ships and men but technically achieved the objective, since the German fleet never came out to do battle again. Debate will rage on about why the British gunnery seemed less effective than that of the Germans and how and why the German fleet was allowed to escape back to safety during the night. That is not the subject of this article. Jack Cornwell was a sightsetter on the forward gun of the light cruiser HMS Chester, during the battle. HMS Chester came under heavy fire very early on, being faced by four enemy ships of a similar size and the crew of the forward gun were killed or injured to a man. Jack Cornwell, however regained his feet and stood bravely at his post until the end of the action. He later died in hospital of his wounds. The gun was preserved in the Imperial War Museum, London as is Jack's VC. "the instance of devotion to duty by Boy (1st Class) John Travers Cornwell who was mortally wounded early in the action, but nevertheless remained standing alone at a most exposed post, quietly awaiting orders till the end of the action, with the gun's crew dead and wounded around him. He was under 16Â½ years old. I regret that he has since died, but I recommend his case for special recognition in justice to his memory and as an acknowledgement of the high example set by him." "The King has been graciously pleased to approve the grant of the Victoria Cross to Boy, First Class, John Travers Cornwell. 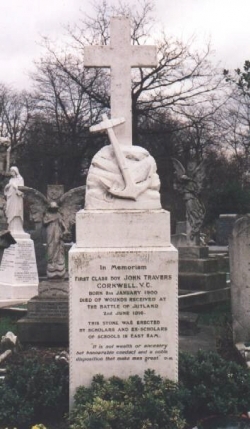 Mortally wounded early in the action, Boy, First Class, John Travers Cornwell remained standing alone at a most exposed post, quietly awaiting orders, until the end of the action, with the gun's crew dead and wounded all round him. His age was under sixteen and a half years." 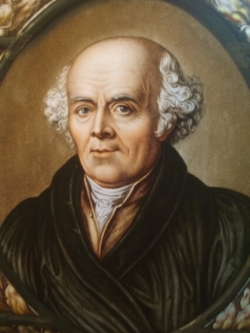 Samuel Hahnemann was the son of a Meissen porcelain painter. He became a chemist and scientist of great capability. He paid for his own medical studies and became a rarely compassionate physician. Because the medicine practised in his day was crude, invasive and ineffective, Hahnemann gave up practice and translated books for an income. It was while translating a book by William Cullen that it occurred to him to question the traditional belief of how Quinine (as in Cinchona Bark) was a good medicine against malaria. He took some of the material himself and developed symptoms indistinguishable from malaria. 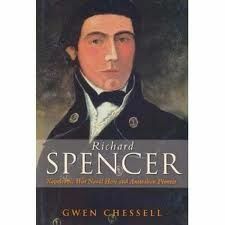 He went on to propound in 1790 his theory of homeopathy or 'cure by similars'. In 1810 he published the first edition of his 'Organon of Rational medicine', which is a vital reference work for homeopathic physicians and veterinarians to this day, in its 5th and 6th editions. He had notable personal success with the treatment of Typhus in 1813 and his writings permitted great homeopathic success with Cholera in the second half of the nineteenth century. He was a homeopathic physician in many cities but the most remembered in his native Saxony are Lepzig and Koethen. He spent his last years as a successful and celebrated physician in Paris. He was indefatigable in his work on the theory, development and practice of homeopathy and taught many 'disciples'. He suffered persistent persecution from established vested interest almost wherever he went, forcing many moves upon him and his family. Nonetheless, he did not give up and his system of medicine lives on, broadly using the principles that he put forward so long ago. Strangely, despite the obvious success of the method, the modern medical establishment is ranged against homeopathy, as in older times. However, patients still seek homeopathic treatment, often reporting a positive outcome and commonly in cases in which even modern medicine has failed. 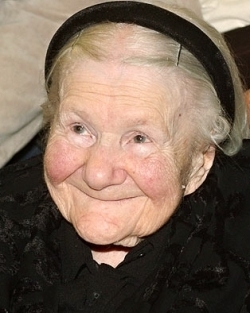 I recently learned about Irena Sendler on Squidoo (I bumped into a lens by 'BevsPaper' (www.squidoo.com/irena-sendler-story), detailing her life and deeds, during WWII. No one wants to glorify that traumatic and savage period of history but the actions of Irene Sendler should be written in lights. She was a Polish Catholic woman who reputedly saved 2,500 Jewish children from the holocaust. She started helping by producing false documentation in 1939 (at the age of 29). This was, of course, risking everything. She was thrice nominated for the Nobel Peace Prize but was never awarded it. I quote from the above Squidoo Lens: "She kept records of every child, where they went and what their name was changed to. She hid them (the information) in glass jars and buried them to keep them from being found. The Gestapo arrested Irena in 1943. She was severely tortured, and sentenced to death. The German guards were bribed by the Zegota on the way to her execution, saving her life. The guards left her in the woods, unconscious and with broken arms and legs. Irena was listed on public bulletin boards as one who had been executed. For the remainder of the war, she lived in hiding, but continued her work for the Jewish children. She dug up the jars containing the 2,500 children's identities and attempted to find the children, after the war. Her plan was to return them to their parents. Unfortunately she found that almost all of their parents had been killed at the Treblinka extermination camp or had gone missing otherwise." This was truly a remarkable woman, who lived among us until 2008. 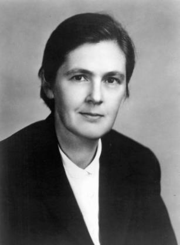 You must add Frances Oldham Kelsey if you want my full marks (I approve - it's done!). By blocking American approval of thalidomide, Kelsey spared thousands of children from horrible deformities caused by this drug. Sadly, as an orthotic/prosthetic technician, I saw my share of children who suffered as a result (Canada was the last country to ban it, unfortunately). Dr. Kelsey was awarded the President's Award for Distinguished Federal Civilian Service by President John F. Kennedy in 1962. Kelsey finally retired from the FDA in 2005, at age 90, after 45 years of service. The Frances Kelsey Secondary School in Mill Bay, British Columbia is named in her honour and Asteroid 6260 Kelsey is also named after her. Another reader nomination, proposed by 'sousababy' and featured by 'poutine' at http://www.squidoo.com/greatmenoftoday is Dr Paul Farmer. There's an appeal for knitters to go to work, to support this humanitarian work in Haiti. Go visit. Squidoo member and lensmaster sousababy has crafted a lens on Barb Tarbox. That lady campaigned for better awareness of the risks of smoking. She died of lung cancer but her image (on her deathbed) will adorn cigarette packets in Canada henceforth: http://www.squidoo.com/neverstartsmoking. Nominated by sousababy, Helen Keller was a blind person (losing her sight and hearing before two years old). She overcame her multiple disability with great courage and success. She is reported to have said: "When one door of happiness closes, another opens; but often we look so long at the closed door that we do not see the one which has been opened for us." I quote from Mujjen's most excellent and visitworthy lens 'The History of Braille': "While she was in college she wrote her book called "The Story of My Life". With the money she earned from the book she was able to buy a house. Helen Keller became an author and speaker. She is today remembered for her advocacy for people who have disabilities. She was also a suffragette, a radical socialist, and a supporter of birth control." Why not also visit: National Braille Week at http://www.nationalbrailleweek.org? Have you ever met a hero? Twelve names, consisting of five from war, one from medicine, three from scientific discovery, one from war and invention combined and two from the world of invention, make an inspiring list. As an amateur rockologist, I have unsurprisingly chosen three from the world of rocks and fossils. By including names of war heroes, I do not intend to glorify war and its horrors, waste and inhumanity but to celebrate the fellowship and greatness of spirit of humankind, that is so often seen in times of desperate action and mortal danger. These people came from obscurity and almost returned to it, despite their incredible contributions. Were it not for prejudice and dogma, their names might have been household currency. Were it not for mankind's propensity to record information, these names might have been lost forever. We should take inspiration from their lives and honour these eminent people by keeping their memory alive and recognising their great contribution to human experience. If you have other favourite obscure names from history, that you think deserve greater prominence, please add them in the 'Suggestions and Nominations' module below. I have recently come across a lens in a similar vein - Female Explorers by 23squidoo - well worth a visit. The author of this lens is a holistic vet, operating independently of commercial interest or sponsorship and cannot endorse any products or advertising material attached to this lens. Chris Day - holistic vet and amateur rockologist and with an interest in most things - runs the Alternative Veterinary Medicine Centre (AVMC) in Oxfordshire, UK. "The greatest fossil hunter ever known"
A biography with an account of his struggle for recognition. Watch the video and feel proud! By one of our very own Squidoo lensmasters (nanhawthorne). Not heard of them? Know very little about them? My point exactly! Well, you may have heard of Prince Albert but can you tell anyone what he did? In this vein, I was interested to encounter the lens: 'Female Explorers' by 23squidoo - take a look: Female Explorers. Please let me know here what you think of my possible future entries and any others you may propose (comments on the lens itself can go in the box at the bottom of the lens). @dessertlover: Thank you so much - yes it did take a bit of work to assemble all this but it was also fun. Wonderful job putting this all together! I found it wonderful to read! @dwnovacek: I'm pleased to see you here and even more delighted to receive a Blessing! Thanks so much. You're an Angel! Back to do a little more reading on fascinating people AND to spread a little Angel Dust! Blessed! @TeacherSerenia: Good plan, then we can link to each other. Excellent lens - well done. I too have a few unknown names tucked away waiting for me to write lenses on them. I'll get around to it - eventually. @Northbright: Thanks so much for your visit and most supportive comment. This is a great idea. Happen to be unknown to me, all of them; but I'm glad to know them, especially Irena Sendler whose story moved my heart and tear-filled my eyes. Thank you so much. Did I miss something somewhere? I just called you an unsung hero. :) Maybe yes I did. This is a fantastic lens. It will be one of the three of your lenses featured on My Visitors lens. @JoshK47: I've no plans to quit! Thanks for supportive comment. @poutine: Thanks, yes, I had already run into that most interesting lens and lensrolled it to this lens. Thanks. @Stazjia: Thanks so much - you're an angel! What a great idea to write about unsung heroes. Blessed. @greetingcardsinfo: Thanks so much for your kind words - I feel very humble in the company of these people. Really well done for writing this without these people helping and changing our world we live in for a better place. @capriliz lm: Yes - we are (and probably always have been a bit 'unfair' in our recognition of great people. Look at some the people who have reached amazing stardom now, and for what? So many heroes who do not receive their due appreciation and recognition. @lollyj lm: Thanks so much for your warm and positive comment. Your mum and grandparents must be great people. This for the history lesson here. I learned something new. What a wonderful lens!! You've done a smashing job of showing us these unsung heroes. I've known many heroes, especially my grandparents and mother. Their quiet acts of heroism have been recorded in several of my lenses, and in a book. Lensrolled to all my "hero" lenses. @SandyMertens: Great - thanks for coming along. @SheGetsCreative: Thanks so much - very encouraging. What a fabulous lens! I love learning something new. You picked some extraordinary people to highlight. @globedancer: Thanks about the Fossil Festival - Yes, I go each year. It's a highlight. Lyme Regis holds a Fossil Festival to give tribute to their "Jurassic Coast" including Mary Anning. Excellent lens! @JackDanielProvost: I'm very pleased to see you here and honoured by your visit. Nice to 'meet' you. For one I love your lense, sent to my favorites + thumbs up! @LouisaDembul: Thanks for visiting them and honouring them with your attention. This was a lot of information! Glad to see that these people get acknowledged. @SandyPeaks: Yea, you could be right - he did a lot more than that, though. Bit too busy right now to make additions but I'll reconsider him when I come to it. Thanks for thoughtful input. I do know some of these people thanks to 'Timewatch' and other documentaries; I should be surprised If Prince Albert's contribution of Christmas Trees, the Great Exhibition and the concept of the Royal Family went unsung as they're oft repeated, at least in Britain! @scar4: She made her mark before there really were '-ologies' and, without formal education, she knew no boundaries. @scss: Thanks so much - it means a lot to have support and positive comment. Truly fascinating lens - a big Thumbs up and Like from me for all your hard work here! @dwnovacek: Wow! Congratulations on your first (of many) and thanks so much that you chose my lens! I'm so pleased to bestow my first ever Angel Blessing to this lens! @dogodor: How extremely kind of you. Thanks for your visit. This is a great lens! I nominated it for lens of the day I thought so much of you and your content. @sousababy: Yes, Helen Keller is good - Louis Braille on the other hand has been given full recognition (albeit posthumously) and most would know his name do you think? @stuhaynes lm: Absolutely he did - yes, Thomas Cochrane inspired so many stories of naval derring-do in the Napoleonic era and most of the 'tricks' in the books were directly from Cochrane's portfolio of skills, bravado, exploits and trickery! Thomas Cochrane. I can't help but wonder if Alexander Kent based his hero on this man. I haven't read all of this lens yet, but intend to come back to it later. Very well written and quite fascinating. Brilliant and now on my favourites list. Good job. @ChrisDay LM: You mention your father - is there anything you'd like to tell us? @David Stone1: Likewise, I've not heard of him until now - I'll look him up! Jan Vanhal, an astonishingly good composer, a friend of Mozart and Haydn, who hadn't their connections. He just went around composing great music. Actually played in chamber concerts in a quartet with Mozart, Haydn and Von Dittersdorf, but when a local public radio station asked me to make a request in return for my donation, I asked for "anything by Vanhal" and got this answer: "Who?" What a fantastic lens! Keep up the good work. Thanks for visiting my lens and leaving comments. At present I 've been able to complete only one lens. Working on the second one. @reflectionhaiku: glad to see you here. @sousababy: Thanks for your suggestion - you'll hopefully see that I have done my bit. @anonymous: Thanks for your visit and positive comment. @asiliveandbreathe: Yes, she was truly an amazing person - thanks for your visit and positive comment. A very interesting choice of people - Mary Anning's story is remarkable! The absolute courage of a single person will always interest and astound me. I can't begin to understand what some of these wonderful people sacrificed and endured for their beliefs and the benefit of fellow human beings. @MacPharlain: Should have said that the Harrison story only really emerged into the 'known' sphere after some recent book and TV exposure. Before that, apparent oblivion. @MacPharlain: Nice to see you here. Glad to spread the word a bit. @Blonde Blythe: Thanks for dropping by. Yes, isn't the World we make a fickle place? Very interesting idea for a lens, I enjoyed reading it. Cochrane's the only one I knew of before reading this so you've helped the rest become more well known. I saw a television piece on Harrison once...didn't remember his name until now though, only his story. Wonderful lens, and very well written, too! So nice to read about people who made important contributions in their time, yet received zilch credit for their efforts. @TonyPayne: Lyme Regis will not disappoint! This lens is right up my street, I really enjoyed it. I love stories like Hornblower and and anything to do with sailing ships, in fact I am researching for a book right now about my Grandfathers first voyage, when he got shipwrecked in the Pacific. I saw a mini-series about John Harrison, and coming from Dorset I have heard of Mary Anning. Seems a lot happened in Lyme Regis. I must get down there next year and do some local history research.